Hawaii is home to some of the most beautiful sights on Earth- sculpted ridgelines, deep valleys, plunging waterfalls, bubbling lava flows, and more. However, many of these amazing sights cannot be readily accessed by land or by sea- the terrain is simply too harsh, remote, or impassable. That’s where our friends at Safari Helicopters come in. For nearly three decades, Safari Helicopters has been introducing visitors to some of Hawaii’s most iconic and breathtaking sights- and revealing her “secret” history, beauty, and geology to the world. 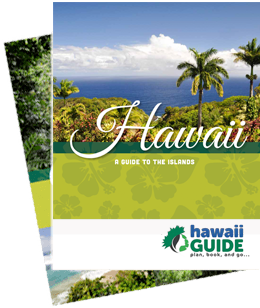 Their Kauai and Big Island Helicopter tours are truly one-of-a-kind adventures. Kauai’s inaccessible wonders are yours to admire and explore on these spectacular Garden Isle helicopter adventures. One hour, one hundred miles, and more sights than you can imagine! Everything offered in the Deluxe Waterfall Safari PLUS an exclusive tour of a remote botanical preserve. Learn about the Robinson family’s conservation efforts- you may even get to meet Keith in person! If you think the Big Island’s inhospitable lava flows and fields make exploring impossible, think again. Safari Helicopters makes the Orchid Isle yours to discover. Tour Hawaii Volcanoes National Park and see one of the most active volcanoes on Earth and more. Head to the Big Island’s most active volcanic areas & watch the Big Island grow right before your eyes! You may even get to see lava meet the ocean in an incredible show of extremes! Explore everything on the Volcano Safari PLUS head to the impressive waterfalls on the upper Wailuku River and soar over the Hilo Bayfront. Your very own adventure will be recorded- waterfalls, canyons, everything! This content is sponsored by Safari Helicopters . Guide of US is a travel destination media and marketing company that receives compensation from companies or organizations whose products or services are promoted on this site. We review and evaluate the services of each company to ensure they meet our highest quality standards for travelers. We are independently owned and any opinions expressed herein are our own.